Talks, workshops and presentations will be published after the Call for Papers. Feel free to submit your presentations or researches to be part of the 2015 edition. My life depends on the functioning of a medical device, a pacemaker that generates each and every beat of my heart. This computer inside of me may fail due to hardware and software issues, due to misconfigurations or network-connectivity. Yes, you read that correctly. The pacemaker has a wireless interface for remote monitoring and I am forced to become a human part of the Internet-of-Things. As a seasoned security-professional I am worried about my heart’s attack surface. This talk will be focused on the problem that we have these life critical devices with vulnerabilities that can’t easily be patched without performing surgery on patients, my personal experience with being the host of such a device, and how the hacker community can proceed to work with the vendors to secure the devices. Marie Moe is passionate about incident handling and information sharing, she cares about public safety and securing systems that may impact human lives, this is why she has joined the grassroots organisation “I Am The Cavalry”. Marie is a research scientist at SINTEF ICT, and has a Ph. D. in information security. She has experience as a team leader at NorCERT, the Norwegian national CERT. Marie also teaches a class on incident management and contingency planning at Gjøvik University College in Norway. Marie loves to break crypto protocols, but gets angry when its in her own body. He will finish his presentation with the extension of his work to malware developers and targeted attacks. Some of these cases already exist: malware on the Internet backbone, custom firmware on payment terminals, custom firmware in network appliance, etc. - What’s next ? Trusting Files Formats: Illusions or Reality? What is our biggest fear when we double-click an icon, when our system opens an external file? Being hacked! You know it, because this is what the medias would make their headlines about. Crashing an app or your system is also a risk, but it’s not that scary in comparison. It’s fine, because we always have the sweet illusion that by reading the specs of its file format, we’d get a clear understanding of what that file is supposed to do. As if… ;) Can we still trust file formats? Can we trust their future? As Internet users increasingly connect to the Internet through smartphones, this has transformed Iran’s Internet ecology towards an increasing reliance and production in apps. In Iran, a country that practises some of the most stringent censorship and surveillance techniques in the world has seen this transformation reshape the way the government implements information controls online. While applications with popular usage on browsers such as Facebook and Twitter remain blocked through their mobile applications, platforms that predominantly exist in app form such as WhatsApp, Viber, and Instagram remain unblocked in the country. This talk will look at how the government is counteracting these policies through various means, including local imitation apps, and new programs such as ‘intelligent filtering’, and the Revolutionary Guards’ “Spider” program. Additionally, a discussion of how Iranian Internet users use these platforms, especially in reference to digital security awareness and practices will be included. Mahsa Alimardani has been doing research and work on the politics of Iran’s Internet for the past four years. She is currently a graduate student at the University of Amsterdam, working as a researcher on digital activism in the Data Active Lab. She also dabbles with editing, writing, and sometimes ranting about Iran as the Global Voices Iran editor. Fitness Flex is a fitness wristband which records your fitness activity: walking, running - and also sleep efficiency. Since prior infamous security and privacy issues - such as public web disclosure of sexual activity - Fitbit has made significant progress. While reverse engineering, we noticed trackers now use end to end encryption for their communications with Fitbit servers. Is this good? or bad? What happens if Fitbit servers are unreachable ? What can we possibly do with the wristband besides activity tracking? I’ll present two alternative geeky usages to your beloved fitness tracker. Anti-virus researcher with Fortinet, FortiGuard Labs. The strange, advanded or unexpected non-desktop malware (e.g mobile, connected objects) get on my desk. Key-Loggers are cool, really cool. It seems, however, that every conceivable aspect of key-logging has already been covered: from physical devices to hooking techniques. What possible innovation could be left in this field? Well, that’s what we used to think too. That is until we noticed that little grey box sitting there underneath a monitor, next to yesterday’s dirty coffee cup. The little grey box that is most commonly known as ‘KVM’. The talk will tell the tale of our long journey to transform an innocent KVM into a raging key-logging monster. We will safely guide you through the embedded wastelands, past unknown IC’s, to explore uncharted serial protocols and unravel monstrous obfuscation techniques. Walking along the misty firmware woods of 8051 assembly we will challenge ambiguous functions, and confront undebuggable environments. Finally, we will present a live demo of our POC code and show you that air-gapped networks might not be as segregated as you imagined. You will witness that malware code could actually reside outside your computer, persisting through reboots, wipes, formats, and even hardware replacements. You might laugh, you might cry, but one thing is certain - you will never look at your KVM the same as before. Yaniv Balmas is a software engineer and a seasoned professional in the security field. He wrote his very first piece of code in BASIC on the new Commodore-64 he got for his 8th birthday. As a teenager, he spent his time looking for ways to hack computer games and break BBS software. This soon led to diving into more serious programming, and ultimately, the security field where he has been ever since. Yaniv is currently leading the malware research team at Check Point Software Technologies where he deals mainly with analyzing malware and vulnerability research. Lior Oppenheim is a vulnerability researcher in the Malware and Vulnerability Research group at Check Point Software Technologies. Oppenheim was trained and served in an elite technological unit performing security research in the IDF. In his spare time, he loves tap dancing, reversing, playing his guitar and pwning embedded devices. The availability of modern System on a Chip (SoC) parts, having low power consumption and high integration of most computer components in a single chip, empowers the open source community in creating all kind of embedded systems. The presentation illustrates the journey that we have taken to develop an open hardware board first of its kind: the USB armory, an open source hardware design, implementing a flash drive sized computer for security applications. The security features of the USB armory System on a Chip (SoC), combined with the openness of the board design, is meant to empower developers and users with a fully customizable USB trusted device for open and innovative personal security applications. The security applications of the implemented concept are explored, illustrating the advantage of an open USB device with increased computational power. The first open source application for the platform, developed by Inverse Path, for advanced file encryption functionality, will also be covered. Smartlocks are the new way of securing doors by replacing the old mechanical locks by new high-tech and connected locks, able to communicate with other smart devices such as smartphones and computers. Vendors argue that “key dematerialization” is the future of keys, where anybody would be able to give, control and revoke keys for one or multiple locks by using his smartphone. No more physical keys needed for a better control, they say. We’ll go through the challenges of key dematerialization in the actual world, from technical challenges to real world implementations … and failures. Widespread smartlocks (and padlocks) are not so smart, and developers often fail at correctly implementing cryptographic algorithms (especially when the smartlock is advertised as using a strong AES-256 implementation), and of course security by obscurity is still used and broken when dealing with critical embedded systems. During this talk, we’re going to demonstrate some real world attacks on one of these smartlocks, from information leaks to “wireless lockpicking” through fuzzing. Damien Cauquil is Head of Research at Sysdream, a French IT Security Company, and also an experienced reverse-engineer. He started reversing binaries at the age of 16, with some friends and a lot of coke and pizzas, using old tools such as Win32dasm or Procdump. He is now playing with electronics, embedded systems and his soldering iron. He is a regular speaker at the French Nuit du Hack conference, but also spoke at other security conferences such as Hack In Paris, 29C3 and CCCamp 2015. Local Kernel Debugging is the ability to perform kernel-mode debugging on a single computer. In other words, the debugger runs on the same computer that is being debugged. Windows offers this functionality through windbg and kd binaries which allow to read/write the kernel memory, perform in/out and access MSRs. This presentation will explain how dbgengine (core of windbg) works: which APIs are exposed and what it requires to work properly. We will show how to abuse it to be able to perform Local Kernel Debugging in Python. Finally, we demonstrate its interest throught use cases. Samuel Chevet is a security researcher currently working at Sogeti ESEC R&D. His interests mainly lies in reverse engineering, vulnerability research and windows internals. Clement Rouault is a security researcher currently working at Sogeti ESEC R&D. Fervent user of Python he is interested in use, abuse and implementation of this language. His research interests include reverse engineering and exploitation. Virtual Desktop Infrastructure hosts users’ desktop environments on remote servers which are accessed over a network using a remote display protocol from specific client software or hardware such as Thin-client or Zero-client. We encountered such solutions during pentests in high-security networks. Moreover, we had the opportunity to study one specific commercial implementation: we identified and exploited several flaws that allow taking over the whole infrastructure. We’ve had some fun hacking this technology so we would like to share our experience by explaining our findings and giving tips to mitigate the critical vulnerabilities we found. SPOILER: responsible disclosure is simultaneously launched with this paper submission. Of course, the content of our final presentation will depend on the outcome of the discussion with the editor. Maxime (@maxime_tz) and Simon (@simonpetitjean) joined the Cyber Security Advisory team at PwC Luxembourg in 2012 and 2013, respectively. Their favourite activities and assignments are penetration tests, information security advisory and computer forensics. When they have the occasion to perform vulnerability research or Security R&D, they are always delighted to present their results (Hack.lu 2012, 2013 and now 2015). This talk will show how to perform a full chain control flow attack against a complex, stand-alone application. Specifically, how to use mcsema, llvm, and satisfiability solvers to discover a targeted execution path using side channel analysis. From this we show how to traverse this path to collect path constraints and solve for user input which would give us the desired output. This process can then be applied to any targeted behavior in a program, from finding known vulnerability characteristics to simply supplying the correct input to a ‘crackme’ binary. A demonstration will conclude the talk by solving an obfuscated ‘crackme’ challenge using the above described process as well as a mini ‘competition’ by running a pintool solver and a pysymemu solver against the same binary and comparing to see which gets the flag first. Sophia D’Antoine is a security researcher at Trail of Bits and a recent graduate student from Rensselaer Polytechnic Institute. At RPI, her graduate research focuses on malicious applications of hardware side channels in virtualized environments. She has presented at RECon Montreal, Blackhat and Sec-t on this topic, specifically on exploiting out-of-order execution, a processor optimization, to create a side channel. Presently, she is working with LLVM to automatically analyze, obfuscate, and transform execution paths. Additionally, she is merging concepts of hardware side channel vulnerabilities at this software level of execution. Through her involvement in RPISEC, she has taught security courses, competed in CTFs, and performed security consulting assessments. Along with the Snowden revelations, there’s been a surge of interest in end-to-end security for messaging. This idea is nothing new, OTR and PGP have been around for some time but failed to get widespread adoption. We discuss the desirable cryptographic properties of secure messaging protocols and show how they are achieved in practice in different protocols. We also show how multiple newcomers to the secure messaging space are reducing metadata trails and discuss impact it has on fighting abuse such as spam. Frederic Jacobs is discovering lattices and elliptic curves at the Swiss Institute of Technology by day and works on multiple applied cryptography projects by night. He is leading the development of Signal at Open Whisper Systems. Malware writers are definitively security researchers. For years, bad guys spend time to find smart or tricky solutions to bypass enterprise security. This presentations is about techniques seen recently and reused in red team penetration tests. Amazingly these technics are quite simple to reuse and usually don’t need extensive skills. This presentation will cover all aspect of spear a phishing attack, from email harvesting, email spoofing up to spear forging bypassing AV and APT boxes. We will also talk about tips for improving click rate and solutions to escape enterprise security devices. All these tips should not be only seen as an evil guide for bad peoples. It’s a warn a for everyone implied in computer security in order to align deployed security to modern and commonly used threats. Since many years Paul spends his free time discovering, learning and sharing stuff about security. During the last decade, he worked as security architect in the network team of the European Commission. Now he works as security consultant in the Intrusion department of Excellium Services and leads the commercial CSIRT of Excellium named «CERT-XLM». Back in 1994, Belgium was one of the first European country to push for the deployment of electronic voting systems. Thought at the time as a sign of Belgium stepping foot in the 21st century, the system stayed in use up to the latest European elections that took place in May 2014. As years passed, bugs got discovered, issues were raised, and public concern grew up to the point where the government was obliged by law to publish the source code of those systems. We jumped on the opportunity to audit the code in June 2014, a few days after the #bug2505 debacle. By auditing the source code provided by the Ministry of Home Affairs, we found multiple vulnerabilities in the system that could easily be exploited by an attacker to tamper with the election process. This presentation will cover all the Belgian election system components, from the different implementations of ballot boxes to the infrastructure responsible of counting each and every vote. Our ultimate goal is to cast a light on bad security practices we found in election management systems so it hopefully get fixed by the next election year. Quentin Kaiser is currently working as a Security Engineer, dealing with various tasks such as web and mobile applications penetration testing, social engineering engagements, and audits of network infrastructures. His interests gravitates around social engineering, open source intelligence, and Android security. During his studies he founded the first hackerspace in the Luxembourg province, located in Bastogne, Belgium: BHackspace. In March 2014 a set of slides were leaked from the Communications Security Establishment Canada (CSEC), outlining operation SNOWGLOBE which involves a mysterious malware dubbed Babar that has been spotted spying on Canadian institutions as well as attacking institutions in Iran and other targets in the middle east. CSEC attributed the attacks “with moderate certainty” to a French intelligence agency. The group behind Babar is now commonly referred to as “AnimalFarm” in antimalware industry, suggesting Babar was only a small piece of a much bigger puzzle. Since CSEC slides’ publication, a group of valorous adventurers, animated by the thrill of understanding complex malware operations, has been relentlessly following SNOWGLOBE’s trail. Along its path, this group found several pieces of AnimalFarm’s arsenal, for example stealthy Casper, exotic Bunny and even big ears Babar itself. The newest heavy-weight actor on the list of miscreants is Dino, the espionage dinosaur. This presentation aims to provide a global picture on SNOWGLOBE’s operations and also delve into technical quirks of their malware. An assessment of the connection between their various piece of software will be given from a reverse engineer’s perspective, and what technical hints regarding attribution can be found. Marion Marschalek does malware reverse engineering. Some say she also does marketing, but at the time of writing she could not be reached to further comment on that. At daytime she hunts malware for Cyphort Inc., at nighttime she hunts ghosts. Two years ago Marion won Halvar Flake’s reverse engineering challenge for females, since then she set out to rock and roll the industry. She practices martial arts and has a vivid passion to take things apart. Preferably, other people’s things. Joan Calvet is a malware researcher working at ESET, where he is mainly involved into in-depth malware investigations. He defended his Ph.D. thesis in 2013, and has spoken at security conferences such as REcon, Virus Bulletin and DeepSec. There is no need to make a long introduction when speaking about the famous Remote Control System (RCS), the product of the Italian company Hacking Team. The huge amount - 400 Gb - of leaked data gives rise to lengthy discussion and is extremely concerning for every part of the professionally, politically or even those superficially interested only. This presentation has three parts: The first is a quick introduction, what the concept and the environment look like (Exploit Delivery Network - Android, Fake App Store…), how the malware was delivered to the targets; and how the infected devices were controlled through the proxy chain. The second is a detailed analysis of the exploits which were used to infect Android devices. I will give a step-by-step description of the installation (infection) process. Hacking Team has many 0day exploits to install the application and to elevate privileges on those devices. These exploits will also be presented. The third part is a collection of the interesting techniques that were used to keep the application as silent and undetectable as possible (VM and Cuckoo evasion, Anti-Virus detection project… etc.). Attila Marosi has always been working in information security field since he started in IT. As a lieutenant of active duty he worked for almost a decade on special information security tasks occurring within the Special Service for National Security. Later he was transferred to the newly established GovCERT-Hungary, which is an additional national level in the internationally known system of CERT offices. Now he works for the SophosLab as a Senior Threat Researcher in the Emerging Thread Team to provid novel solution for the newest threats. Attila has several international certificates such as CEH, ECSA, OSCP, OSCE. During his free time he is reading lections and does some teaching on different levels; on the top of them for white hat hackers. He presented on many security conferences including hack.lu, DeepSEC, AusCERT, Hacktivity, Troopers, HackerHalted and NullCon. From new exploits and antivirus evasion techniques to traffic direction services and compromised data reselling: the digital crime landscape is in continuous progress. Despite the large variety of specialized and innovative cybercrime services, some of them such as domain names and bulletproof hosting are cross-functional since they are fundamental to practically all cyber criminal campaigns. Exploit kits are currently one of the most efficient malware delivery mechanisms. A successful Exploit kit infection chain drops anything from financial trojans, crypto-ransomware, to info-stealers and click-fraud or DDoS bots. Exploit kit landing domains are commonly hosted on bulletproof hosting providers or abused large providers. By leveraging our worldwide visibility into the attack surface in terms of DNS and IP space, we will present numerous new use cases of criminal hosting infrastructures used for botnet proxy networks and Exploit kits such as Angler, Nuclear, RIG, etc. We will share actionable intelligence collected for about two years worth of investigation that attendees can utilize in turn in mitigating malware. We will describe evolving patterns of TTPs used by adversaries in setting up their infrastructures for resilience and scale. Such patterns include improper peering relationships, offshore registration of hosting businesses, diversification of IP space across various RIRs, rogue ASNs and affiliated hosters, usage of compromised registrant accounts, hosting of EK landing domains on multiple IPs across dispersed hosters, etc. Dhia Mahjoub is Senior Security Researcher at OpenDNS with over 10 years of technology research experience in network protocols, graph theory, sensor networks, and security. He enjoys building threat detection systems at global scale by analyzing DNS traffic and monitoring hosting infrastructures, and leading multiple research projects while providing expert advice on strategic directions. Dhia has a background in Computer Networks and holds a PhD in Computer Science from Southern Methodist University with a specialty in graph theory applied on Wireless Sensor Networks. He has presented at conferences worldwide including APWG eCrime, BSides, ISOI, SOURCE Boston, Black Hat, Defcon, Virus Bulletin, ShmooCon, Kaspersky SAS, InfoSecurity Europe, and BruCON. Blue-team infosec is all about defending against an opponent. And as we all know, knowing (or “gathering intelligence on” your opponent is becoming crucial: being able to know (and to predict) your opponent’s moves greatly reduces the cost of defending against their attacks. This talk will (re-)introduce the concept of Threat Intelligence as we understand it today, leaving misconceptions behind and exploring the concepts and models that have already been developed to describe it, and see how it relates to “classical” intelligence. Using concrete examples we’ll see exactly how threat intelligence fits in the incident response process, ranging from preparation to lessons learned, and how dismissing it as snake oil can have a negative effect on the defenders. We’ll also expose the some tools and processes that help DFIRers collect, manage, and use threat intelligence today, including their aspirations and limitations. Ronan is analyst at CERT Sekoia with a focus on Cyber-Threat Intelligence. He is a former SOC analyst and network forensic analyst. He presented his work on bot detection inside corporate networks by leveraging OSINT feeds and semantic DGA detection at SSTIC2012 and Botconf2013. In 2014 he co-authored a paper on a cybercriminal ring stealing intellectual property dubbed “Pitty Tiger”. During Botconf2014 he co-presented the main background questions the Pitty Tiger investigation team had to face; including data and people management, hypothesis and doubts, closed and open information release. Thomas Chopitea is an incident handler at CERT Société Générale. His day-to-day tasks revolve around incident response (duh), digital forensic investigations, malware analysis (including some reverse engineering late at night), and creating tools that can actually be used by humans. Thomas is one of the core developers of FIR, CERT Société Générale’s open-source incident management platform and Malcom, a malware communication analysis and threat intelligence tool he introduced during Botconf2013. The InfoSec community likes to argue. From conference ethics & dress codes, through disclosure policies, the security of open/closed source software, and whether vulnerabilities should be allowed fancy names and logos. Thankfully, nobody argues with 0-days, that’s why we found a dozen of them, In the most popular web applications in the world. This talk will give one hacker’s perspective of the Hackers vs. Developers never-ending debate. We will show the critical differences and the gaping asymmetry of how each side perceives the world and views code, and come to the unavoidable conclusion: they hate us cause they ain’t us. Starting with the MediaWiki vulnerability (RCE on wikipedia.org) we discovered last year, we will delve into increasingly significant fails in modern web application software, all the way up to dropping vulnerabilities in absolute web giants, revealing findings awarded with max bounty payouts of >$10,000s USD. For each vulnerability, we will explore the context of the vulnerable code, looking through the eyes of the developer, and witness the true absurdity of the secure coding fallacy. We’ll show that no matter how much money is spent on security, despite security awareness training sessions and rigorous code reviews, vulnerabilities still exist in the most secure code, simply because developers just don’t have the privilege of thinking like hackers. Netanel is a senior vulnerability researcher that has several significant findings under his belt. Starting his security career at the age of 16, Netanel performed security assessments for many international companies and organizations, including banks and government offices. Following a meaningful military service in the IDF elite intelligence unit 8200, he joined Check Point Software Technologies, and later on PerimeterX. In the past few years, his work was presented in several international conferences such as DEF CON and CCC. A wireless router is a networking device that enables a user to set up a wireless connection to the Internet. A router can offer a secure channel by cryptographic means which provides authenticity and confidentiality. Nowadays, almost all routers use a secure channel by default that is based on Wi-Fi Protected Access II (WPA2). This is a security protocol which is believed not to be susceptible to practical key recovery attacks. However, the passwords should have sufficient entropy to avert brute force attacks. In this research, we compose a strategy on how to reverse-engineer embedded routers. Furthermore, we describe a procedure that can instantly gather a complete wireless authentication trace which enables an offline password recovery attack. Finally, we present a number of use cases where we identify extremely weak password generating algorithms in various routers which are massively deployed in The Netherlands. Eduardo Novella has been finishing his studies abroad at the Radboud University Nijmegen. He is a security analyst at Riscure in The Netherlands where performs security evaluations on embedded devices. Before joining Riscure, he was messing around with wireless routers. Concretely, he was wondering how WPA2 keys were generated by some ISPs. He took several Dutch routers for research and got the answer. He will show how to extract and reverse engineer firmware images, and subsequently how to break the weak cryptography within a few minutes. Security is a property of human outcomes, not technical systems. The security community understands how to think about the security of code and is learning how to think about the security of large systems, but has barely begun to start to think about how to improve security outcomes for humans. Security for humans affects the entire software development and deployment lifecycle, but it’s most strongly present in the design and requirements phase where it has been largely ignored by the security community. The need for outcome-oriented security design is particularly obvious in the design of systems intended for use by high-risk, specifically-targeted users. In this talk, we’ll describe the security design problem, the challenges of supporting high-risk users, and some steps toward practical processes and solutions for the missing discipline in the security community. Eleanor Saitta is a freelance security consultant specializing in architectural security for large-scale systems, integrating security into the development lifecycle, and cross-domain security for news organizations and NGOs targeted by nation states. Her employers over the past 12 years include Bishop Fox, IOActive, Security Innovation, and iSEC Partners. Eleanor is a co-founder and developer for Trike, an open source threat modeling methodology and tool which partially automates the art of security analysis and also contributes to the Briar and Mailpile secure messaging projects. Eleanor is a regular speaker at industry conferences; past venues include ToorCon, CCC, Hack in The Box, and HOPE. Saumil graduated with an M.S. in Computer Science from Purdue University, USA and a B.E. in Computer Engineering from Gujarat University. He spends his leisure time breaking software, flying kites, travelling around the world and taking pictures. We discuss the potential for significant reduction in size and complexity of verification tasks for input-handling software when such software follows the LangSec principles, i.e., is designed and compiled for a suitably limited computational model, no stronger than needed for the recognizer automaton of a particular language of inputs. Such a language, Crema is introduced and provided as open-source. We use parts of the qmail parsing code base compared to a restricted parsing environment as a case study, and LLVM and KLEE to estimate the size of its respective verification tasks. We also study the application of the same principles to the verification of reference monitors. Examples of programming with a provably-halting programming language are given as well as how to embed them into your existing programs. Advising Research Engineer at Assured Information Security, Inc. where he leads the Computer Architectures group and acts as the site lead for the Colorado branch. Jacob has worked extensively with low-level x86 and MCU architectures, having written a BIOS, OS, hypervisor and SMM handler. His major interest is how to (mis)use an existing architecture to implement a capability currently beyond the limitations of the architecture. A gentleman hacker: security researcher, C and assembly programmer. Johnny is frustrated, he can’t unpack malware. Nor does his latest sandbox which his organization acquired from some Fortune-100 company, nor does his cloud service which his company pays a few k’s every month for. Every day he’s struggling to analyze malware in order grab intelligence from the latest malware his organization got infected in , but he’s looking for something different, something which might assist him to analyze high amounts of packed and obfuscated malware. In this research I show the journey of “Why Johnny can’t Unpack”, I start by showing the general problem of unpacking in comparison to the halting problem and then move onto the different complications unpacking obfuscated and protected code has with nowadays protectors. Next, I move onto explaining how it is possible to achieve how percentage of unpacking rate using a debugger-free environment using VMI and program analysis techniques. Using the aforementioned techniques, we are able to achieve high unpacking rate and the ability to correlate binaries, basic blocks and even families to achieve better malware unpacking results, however we can also expand this research into the next 20% which involves deobfuscation and program transformation by transforming VM-bytecode into x86. By combining the aforementioned techniques, we are able to achieve high unpacking rate and the ability to correleate between binaries, basic blocks and even different malware families. However, we can also expand this research into fully deobfuscating a program which was whiteboxed or transformed by VM-code or program whitening techniques. Shift is a freelance security researcher with a strong interest in lowlevel, vulnerability research and operating systems. Wandering from two sides of the coin Shift enjoys breaking software and reverse engineering different types of software. This talk intends to contribute to the discussions taking place around media literacy and to invite the tech community to join this conversation. I will discuss the current trends in terms of digital literacy and the current debates taking place in the world of education sciences and information technology. I wish to illustrate how certain subjects that are predominant in the world of technology remain largely absent in the learning and education research networks and vice versa. I will also propose to discuss the different ways in which the tech world can participate and contribute. In fact, one of the arguments I will defend is the necessity of the world of education and the world of technology to join forces in a deeper way. This, I suggest, could be translated into ways in which issues of security, censorship and surveillance, as well as their technical responses and solutions, can be made part of the discussion about digital literacy that many research groups discuss and debate in separate contexts. I believe this combination of work, which has surprisingly been apart for far too long, can be translated into bridge figures, using ideas for more complete, more coherent and more flexible strategies that can be fairly accessed, adapted and expanded. Laura Vidal is a passionate advocate for the connection and exchange of cultures (including the tech culture and the academic culture). She’s currently finishing a doctoral research in intercultural sensitivity as a learning process in the Web 2.0. At the same time, she manages Global Voices’ team of Latin America authors, where learning processes and experiments are the order of the day. Eight different zero-day vulnerabilities in Adobe Flash Player in 2015 so far, and analysts are struggling to get a handle on the problem: Malicous Flash poses some special challenges at them when trying to answer, for example, if a particular object is malicious, if it contains an exploit for a known vulnerability, or if variants of it have been observed before. Naturally, the answer is in the code. In this talk we will discuss ways of making the relevant information available and use it to write signatures that allow us to identify and classify variants of known exploit as well as understand unknown ones faster. Together with this presentation we will release swffile.py, a Python class to be used in custom analysis tools that provides an interface for SWF file parsing. Tillmann Werner is the Director of Technical Analysis at CrowdStrike Intelligence where he is responsible for the analysis of various kinds of threats. He loves combining scientific research with intelligence analysis and specializes in malware reverse engineering, honeypot technologies and containment strategies for large-scale botnets. 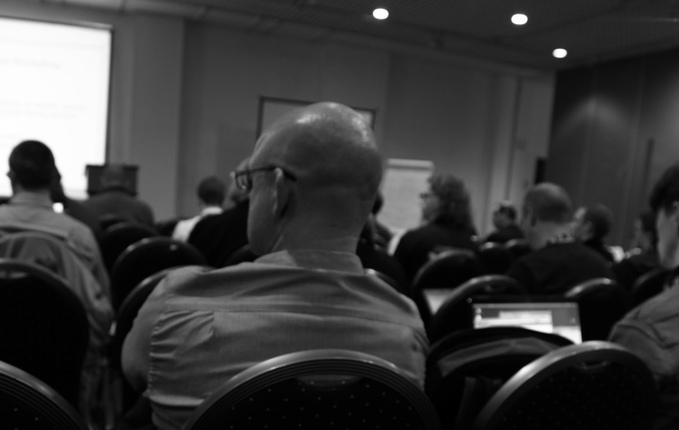 As a member of the Honeynet Project, Tillmann is actively involved with the global computer security community and is a regular speaker on the international conference circuit. Abstract—TLS is the most widely used cryptographic protocol on the Internet. While many recent studies focused on its use in HTTPS, none so far analyzed TLS usage in e-mail related protocols, which often carry highly sensitive information. Since end-to-end encryption mechanisms like PGP are seldomly used, today confidentiality in the e-mail ecosystem is mainly based on the encryption of the transport layer. A well-positioned attacker may be able to intercept plaintext passively and at global scale. We collected and scanned a massive data-set of 20 million IP/port combinations of all related protocols (SMTP, POP3, IMAP) and legacy ports. Over a time span of approx. three months we conducted more than 10 billion TLS handshakes. Additionally, we show that securing server-to-server communication using e.g. SMTP is inherently more difficult than securing client-to- server communication. Lastly, we analyze the volatility of TLS certificates and trust anchors in the e-mail ecosystem and argue that while the overall trend points in the right direction, there are still many steps needed towards secure e-mail. 10+ years of engineering. Has seen the fallacies of distributed computing. Still enjoys working and researching in the industry. Loves tuning, scaling and securing of distributed systems - building on and contributing to great Free & Open Source Software. Above all: getting to meet brilliant people, exchange ideas and work on exciting projects all the time! I am self-employed and primarily do engineering work, consulting and research on IT Infrastructure Architecture, Operations & Development, High Performance Computing and Information Security. I currently also work as a researcher at SBA-Research working on network security, applied cryptography, conducting Internet-wide surveys, attacking protocol implementations and proliferating cryptography. The workshop aims to introduce the fine details of the Freescale i.MX53 TrustZone implementation, the SoC employed in the USB armory. The ARM(R) TrustZone(R) technology, in contrast to traditional TPMs, allows developers to engineer custom trusted platform modules by enforcing domain separation, between the “secure” and “normal” worlds, that propagates throughout System on a Chip (SoC) components, and therefore not only limited to the CPU core. The class leverages on the native TrustZone(R) support provided by the USB armory (http://inversepath.com/usbarmory) SoC to cover its theory, implementation, security evaluation and applications. Additionally the additional security features of the USB armory, such as Secure Boot and the INTERLOCK tool, will be explored in detail. Being an active member of the international Open Source and security community he contributed to several projects, books and open standards. He is the founder of the oCERT effort, the Open Source Computer Security Incident Response Team. He is a well known international speaker, having presented at BlackHat, CanSecWest, Chaos Communication Congress, DEFCON, Hack In The Box, among many other conferences, speaking about innovative research on automotive hacking, side-channel attacks, payment systems, embedded system security and many other topics. Daniele Bianco holds a bachelor degree in Physics and began his professional career in world class scientific organizations. His interest in centralized management and software integration of Open Source environments had him focus his early work on design and development of suitable R&D infrastructures. Later on he joined to the private sector to become one of the co-founders of Inverse Path. One of his passions has always been exploring hardware and electronic devices. At Inverse Path he pioneered, ahead of its times, the development of embedded system security services. His primary activities range from side-channel and low level hardware attacks to application penetration testing. He is an active contributor to the Open Source community and an invited speaker at many international IT security events. Malcom is an open source tool https://github.com/tomchop/malcom written in Python. This tool is used to better understand malware communications between malware samples and their C&C by sniffing or reading PCAPs and sharing IOC via an API. The goal of this workshop is to present the features of Malcom with different scenarii and plugins and explain public API interaction and plugin development. Malware triage is an important function in any mature incident response program; the process of quickly analyzing potentially malicious files or URLs to determine if your organization has exposure. But what if you don’t have an incident response program? What if you are just setting one up? What if you don’t have the tools you need to perform your analysis? With the current offering of free online tools and the right mindset, a web browser and a notepad may be all you need. In this workshop you will work through the triage of a live Exploit Kit using only free online tools. We will provide an introduction and demo of each tool and support you as you perform your analysis. In order to participate in this workshop you will need the following: - Laptop with a modern web browser and a text editor. - For the text editor Notepad.exe will work but you will have more fun if it has syntax highlighting. Try Notepad++ or SublimeText. - Good Internet connection! Sergei Frankoff is a malware researcher and the Director of Threat Intelligence at Sentrant. His current focus is ad-fraud malware and the ecosystems that support modern ad-fraud. Prior to joining Sentrant Sergei worked as an incident responder and a security analyst. Sergei is a strong believer in taking an open, community approach to combating cyber crime. He actively contributes to open source tools and tries to publish as much as possible. You can find him on twitter as @herrcore. Sean is an incident responder and malware researcher currently focused on tracking botnet and other crimeware based malware. He is also an active contributor to open source security tools focused on incident response. Previously Sean has worked in a number of application security roles with a focus on security testing and threat modelling. He also loves fly fishing. In this workshop (2 hours), I explain how to use the tools (oledump, emldump, YARA rules, …) I developed to analyze (malicious) Microsoft Office documents. I have around 30 exercises that explain step by step how to analyze malicious office documents with my Python tools. Microsoft Office is not required for the analysis. Didier Stevens (Microsoft MVP Consumer Security, SANS ISC Handler, Wireshark Certified Network Analyst, CISSP, GSSP-C, GCIA, GREM, MCSD .NET, MCSE/Security, MCITP Windows Server 2008, RHCT, CCNP Security, OSWP) is an IT Security Consultant (Contraste Europe) currently working at a large Belgian financial corporation. Didier started his own company in 2012 to provide IT security training services (http://DidierStevensLabs.com). You can find his open source security tools on his IT security related blog at http://blog.DidierStevens.com. Guillaume Arcas has worked as Security & Network Analyst since 1997 primarily - but not only - in the Internet & Banking industries. Guillaume then specialized in Digital Forensics & Incident Response and joined Sekoia as CERT team leader. Guillaume is also member of the Honeynet Project’s French Chapter since 2010. When not hunting for endangered species hanging on the Internet, Guillaume uses to read (thriller, SF, History & Philosophy in no particular order as long as it is printed) and walk his dog. He’s also nourishes a certain nostalgia for the esheep.exe software (hence his Twitter’s avatar). Come on and do it yourself immersed in a real infrastructure and with your own network (hns-platform based). The objective of this workshop is to show, step by step, how an attacker is able to implement these exploits and how to try to limit the damage (or not) on real and virtual device (SIEMENS, SCHNEIDER, ALLEN-BRADLEY, …). Laptop with Windows 32/64 bits or Linux 64 bits only (Debian wheezy, Debian jessie, Ubuntu 14.04, Ubuntu 14.10, Ubuntu 15.10, Kali Linux) with a RJ45 Gigabit NIC (required !). When it comes to the security of the information system, Active Directory domain controllers are, or should be, at the center of concerns, which are (normally) to ensure compliance with best practices, and during a compromise proved to explore the possibility of cleaning the information system without having to rebuild Active Directory. However, few tools implement this process and several ways exist to backdoor Active Directory. We propose to present some possible backdoors which could be set by an intruder in Active Directory to keep administration rights. For example, how to modify the AdminSDHolder container in order to reapply rights after administrator actions. Moreover, backdoors can be implemented in Active Directory to help an intruder to gain back his privileges. We will present BTA, an audit tool for Active Directory databases, and our methodology for verifying the application of good practices and the absence of malicious changes in these databases. We begin by a presentation, describing the stakes around the Active Directory, centerpiece of any information system based on Microsoft technologies. Then some backdoors, in order to keep admins rights or to help an intruder to quickly recover admins rights, will be demonstrated. At last, we will present BTA and the methodology developed to analysis Active Directory. Thereafter, we will use (play with) BTA and try to discover backdoors within a Active Directory. We will try also to develop some miners in order to understand how BTA is architectured and show how it’s easy to perform some new security checks. Joffrey Czarny is working for Airbus Group Innovations (FR) as a security researcher. Since 2001, Joffrey is a pentester who has released advisories on VoIP Cisco products and spoken at various security-focused conferences (Hack.lu ITunderground, Hacktivity, HITB, SSTIC, BlackHat Arsenal…). On his spare time, Joffrey is co-organizer of NoSuchCon (Paris) conference. Xavier Mehrenberger is a security researcher at Airbus Group Innovations. He is interested in performing security audits, intrusion detection, as well as developing and using security analysis tools that help with incident response related tasks. But since it is a really complete tool without a GUI, it has a steep learning curve, hence this workshop. In this renewed and updated workshop we will also cover debugging techniques, using ESIL for the emulation, scripting with r2pipe, radare2 internals and how to modify/enhance it. Anton Kochkov (xvilka) is a reverse engineer and a lead developer in SecurityCode Ltd. Core member of radare2, coreboot and MEre projects. His main interest - is a research of the early booting stages of computers (including embedded and mobile ones) and various firmware, especially for the x86 and ARM architectures. Maxime Morin is the freshly new team leader of Malware.lu CERT, the first private CERT (Computer Emergency Response Team) in Luxembourg. He is fighting against the intentional blur in the industry and against meaningless terminology unfortunately used too often and widely. This struggle also involves a better understanding of the world of IT security and a better vulgarisation of the Science in General. During his studies he founded the first hackerspace in the Franche-Comté region, located in Belfort, France: HackGyver. It allows exchanges and cooperation between enthusiasts as well as the appropriation of technologies by many people interested in the field of IT Security. Jeff is a software engineer at Google in Cambridge, MA, USA. He spends his free time playing CTF with Shellphish, running Boston Key Party, and of course, contributing to radare2. “Secure PHP” may sound for some as an oxymoron but is actually an achievable goal. The struggle between time spent securing the application and feature development is unfortunately often won by the latter because that is what developers are paid for. The goal of this workshop is to show the potential vulnerabilities of web applications and how to prevent them in PHP. Laptop is required to test your skills on a vulnerable application. Passionate developer and sysadmin I have been in love with PHP for 10 years despite the usual bad first impressions. Now working at the Ministry of the Economy as security officer I admit that although I mostly use BASH, sometimes I write my system scripts in PHP.